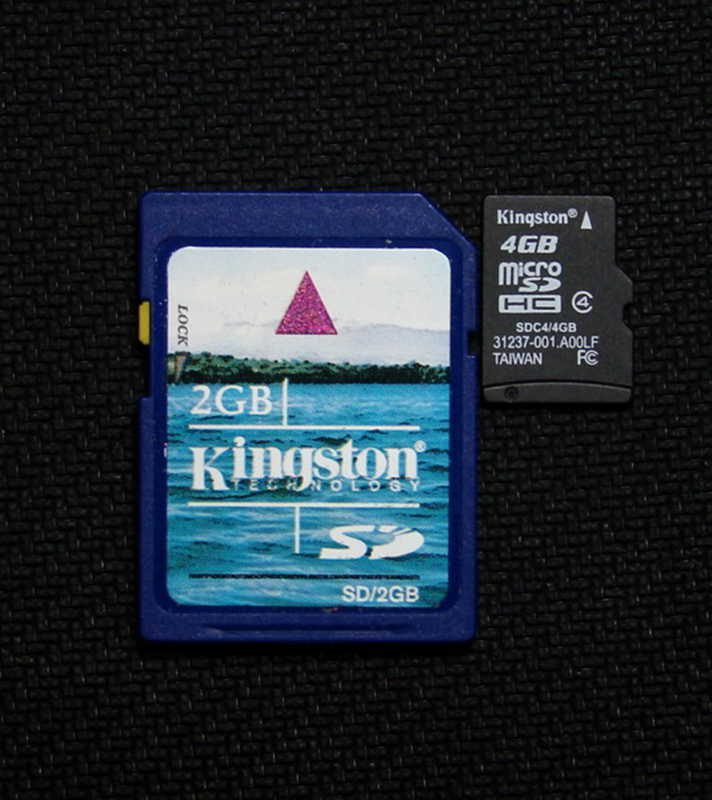 SD Cards, an abbreviation of Secure Digital Cards are one of the highly demanded Data Storage Devices. They are also considered to be an excellent data storage device. 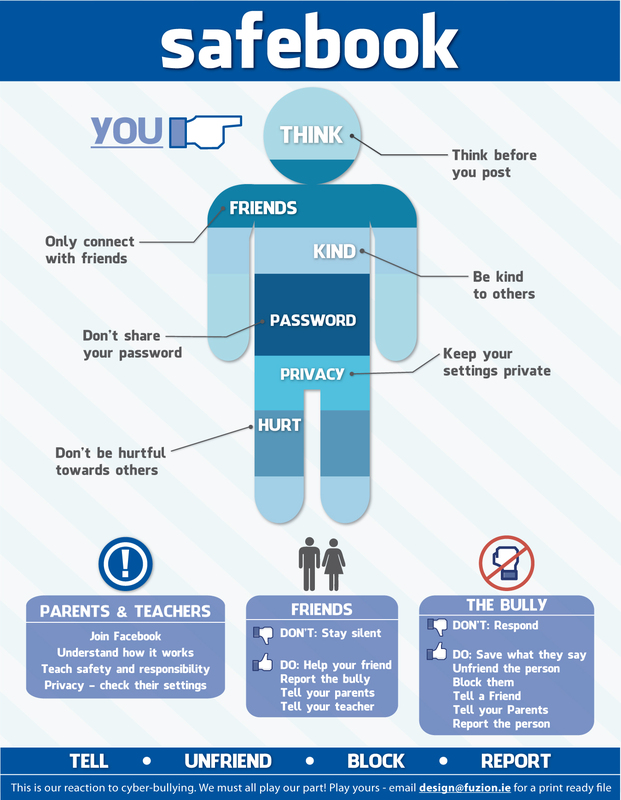 We all use them to store our valuable asset, Data. This precious data can be in the form of your memorable photos, your important document, favourite videos, and much more. These storage devices are widely accepted by all, owing to their ability to record, salvage, and stream a large amount of ultra-high-definition data in the digital format. Although, there is no dearth of the best and effective Secure Digital (SD) Cards manufacturers, but, out of all the available options, Kingston is the noteworthy as well as world’s foremost memory card manufacturer and supplier. Kingston SD Cards are known for their high-speed class, excellent security, better reliability, file formats, and best-in-class compatibility. Even if they are reliable, yet they are prone to any form of damage. When this most convenient, portable data storage device turns corrupt, damaged, or is formatted, all the stored data runs at a greater risk. 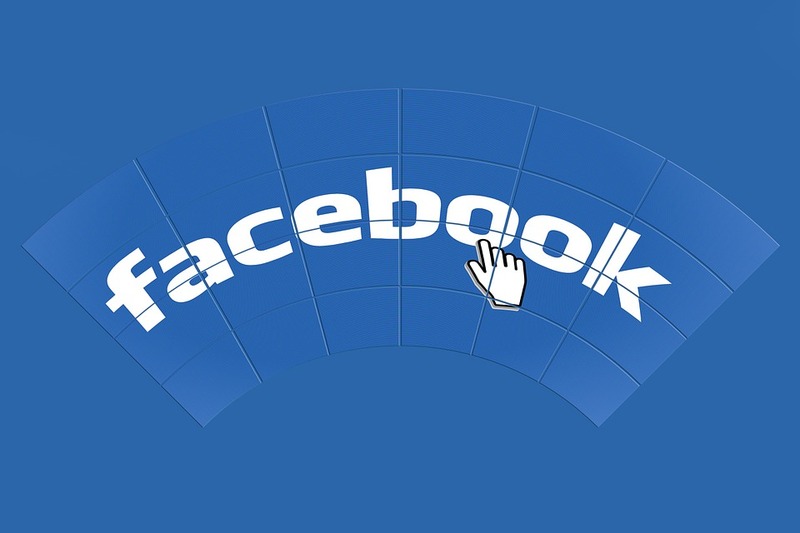 Therefore, if not handled properly, it eventually results in permanent loss or inaccessibility of the saved data. In this situation, the recovering data becomes more of a necessity. When an individual connects the SD Card to the system, the Windows generates a message prompting the SD card requiring a formatting. While trying to read the SD card, either no folder appears, or in case if folders are visible, they cannot be opened. While trying to access the data, a dialogue box displaying ‘corrupt memory card’ or ‘memory card error’ appears on the screen. Able to view the data in the system as well as another device but is not able to copy it. The simplest way is to connect your SD card to another device. 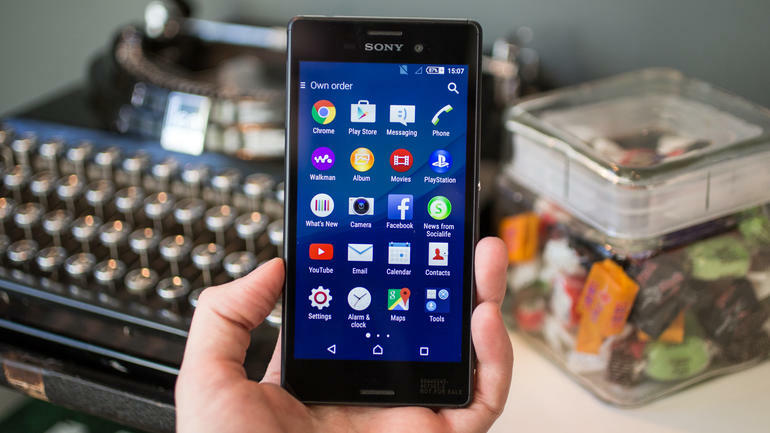 This is because, sometimes, some of the devices are unable to read the SD card, therefore, showing incompatibility. You can use this command to recover your lost data. For this, you need to click the Start menu, open the “Run” dialogue box, type ‘cmd’, and press the ‘Enter’ key. Next, the Command Prompt window will open up. Here, type in ‘Chkdsk’ followed by the drive letter, colon, & /f and press the ‘Enter’ key. It will now search for the possible errors and try and fix it up. During the process, you simply have to follow the prompt messages. Sometimes, it usually happens that the reader is assigned a drive letter but is not able to read it. Here, you need to assign a new drive letter to the connected card via Operating System settings. Usually, SD cards have a built-in recovery solution. You can try it to recover your lost data. For this, you need first to cross-check whether there is a used space or not. It can easily be done by right-clicking on the drive letter and selecting properties. In this method, you need to reinstall the driver. To do so, double-click on the disk drive options available on the device manager. Here, select the removable drive name and uninstall it. Now, restart your system and reconnect the SD card. If none of the mentioned above Solutions works, the only practice to recover lost /deleted data is Data Recovery Software. Undoubtedly, there are several Data Recovery software available in the market. But choosing the one that effectively caters to your need is not easy. 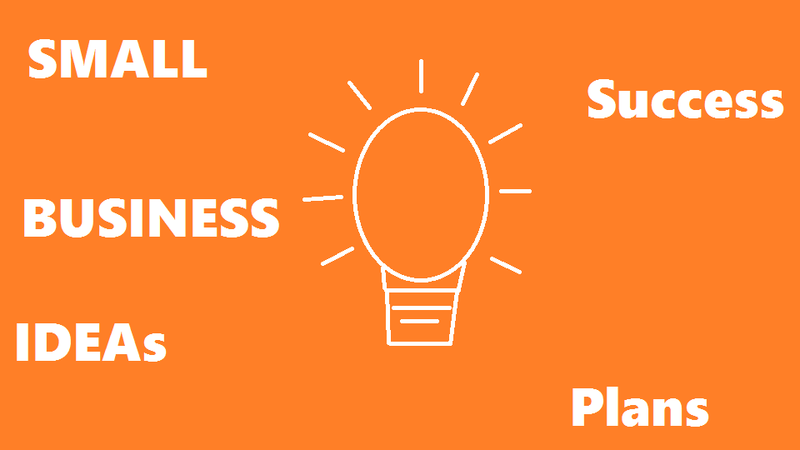 Usually, users search for the one that is easy, quick, simple, reliable, and most importantly, is secure. 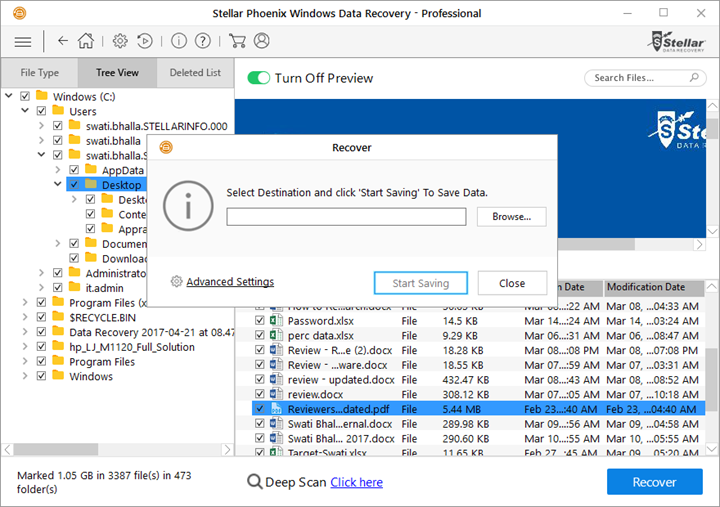 Therefore, if you are looking for an advanced Data Recovery Software to recover deleted files and further, also focus on these parameters, then opt for Stellar Phoenix Windows Data Recovery – Professional software. 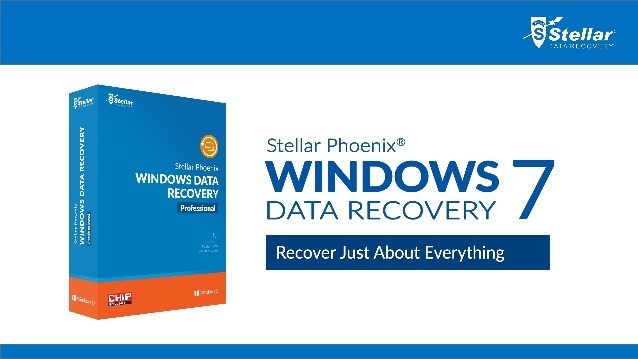 Stellar Phoenix Windows Data Recovery – Professional is a comprehensive all-in-one solution intended to recover almost everything. This dedicated Data Recovery tool is designed to cater to all your data loss apprehensions. 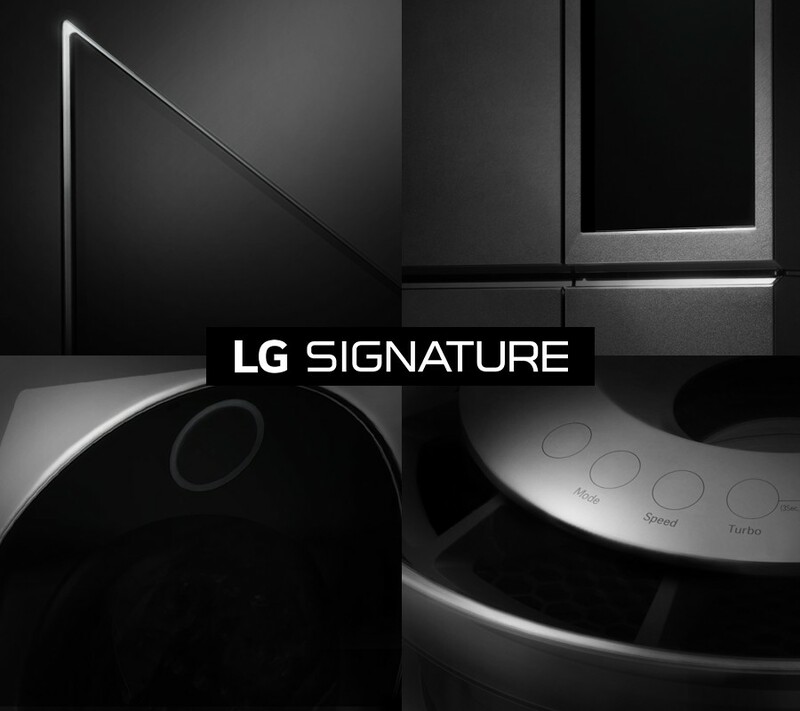 It employs three simplified steps—Select, Scan, and Recover. On this basis of these, it helps you undelete all your lost or deleted data, be it sensitive information files, business-critical complex documents, treasured photographs, cherished videos, and much more. 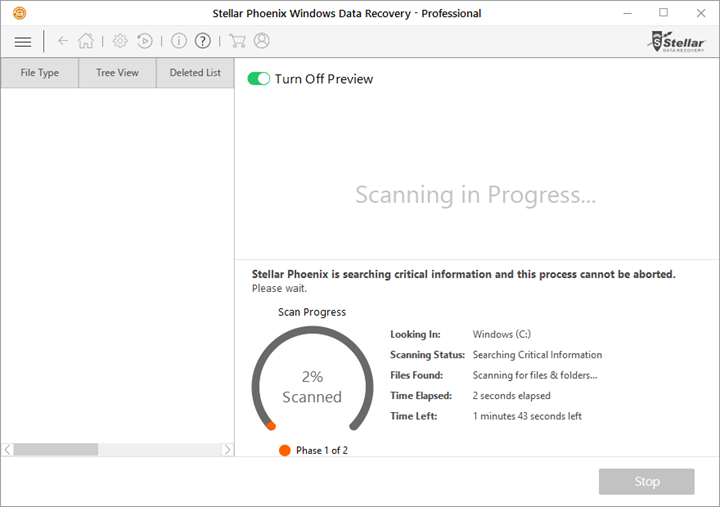 Download, Install, Register, and Run Stellar Phoenix Windows Data Recovery – Professional. 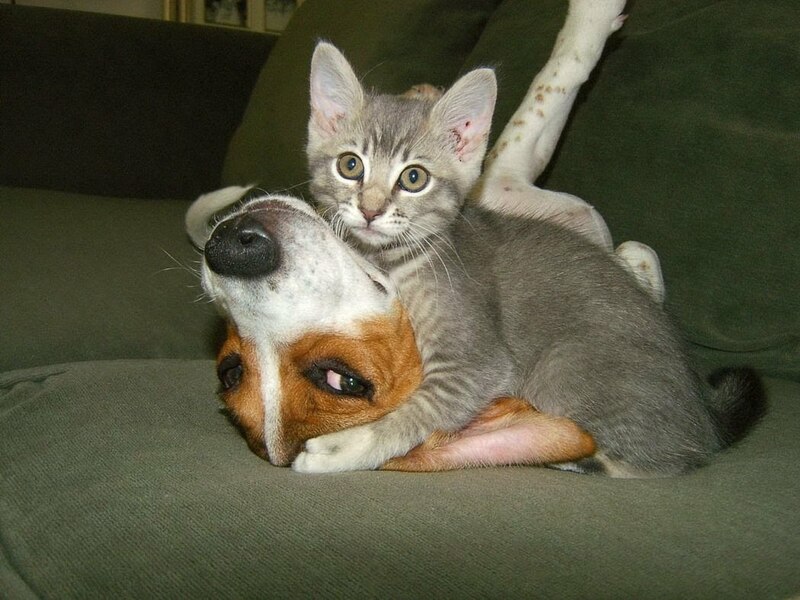 Now, click scan and start scanning. The scan window will display a detailed-oriented scanning status. It includes details about time required, the time consumed, and the time left to complete the scan. Further, it also has a Turn on/off Preview option whereby you can turn off the preview option to increase the scan speed. You can also pause the scanning process and resume at any point if you don’t wish to undelete the entire volume. Now, a dialogue box displaying details of found files and folder will prompt. In this scan result window, simply click the back On clicking it, you will be directed to save scan option. 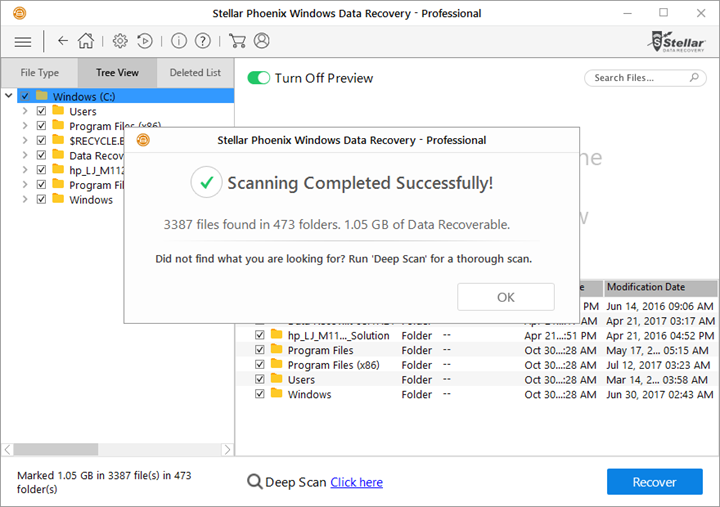 On successful completion of the scan process, you will be able to see the preview all the recovered files in the ‘Preview window’. 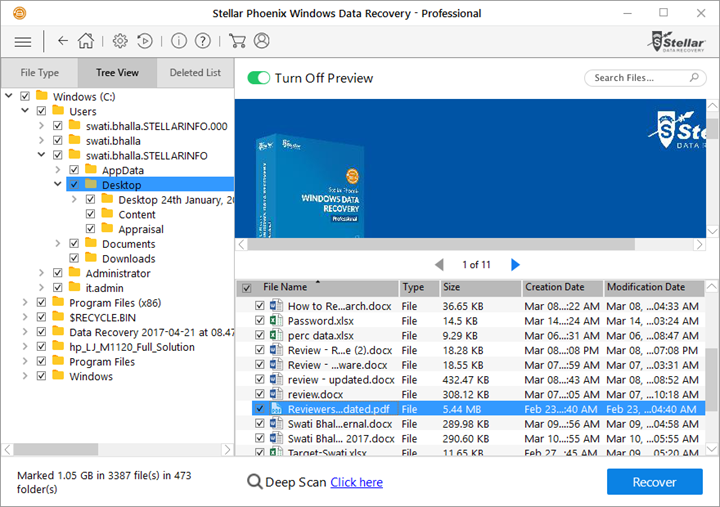 This window will display the list of all recovered files in three different viewing perspectives—File Type, Tree View, and Deleted List. Choose any viewing perspective and start viewing the files or folders by clicking on it. 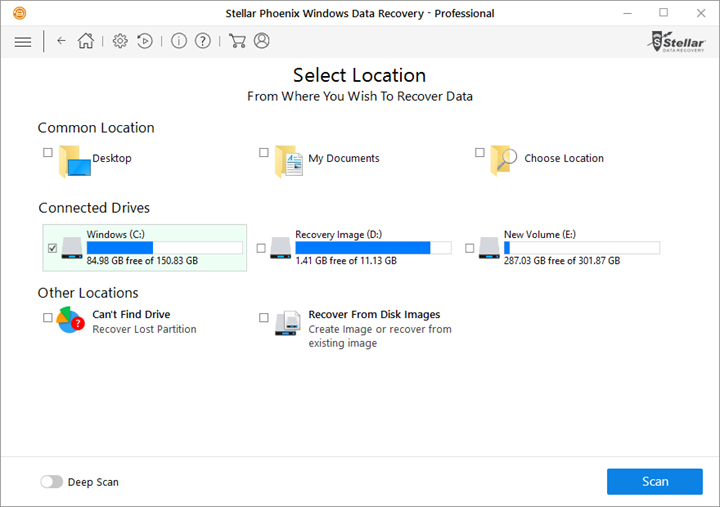 Now, choose all the files and folders you want to undelete and start the recovery. Here, a dialogue box will prompt and ask for the destination. Either you can add destination directly or can choose Advanced Settings option to configure advanced recovery. Click Start Saving to save the recovered files. 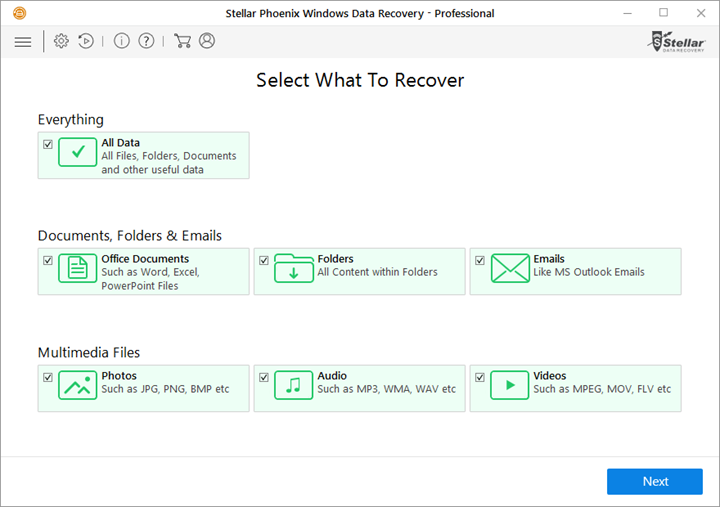 After successfully saving, you can navigate to the specific destination to view the recovered files. Now, you must be aware of all the possible process using which you can easily fix issues of SD cards and recover deleted files from a Kingston SD Card. Use your discretion to select the right recovery process and employ it. Be the first to comment on "Best Ways to Recover Deleted Files from a Kingston SD Card"